Barnes & Noble Bookfair – Saturday, March 5th! Join me at Barnes & Noble #2217 on Saturday, March 5th from 1 to 3 PM. 425 Marketplace Boulevard Hamilton, NJ 08691. We will have a reading, refreshments, and a portion of the proceeds will go to benefit The Friends of the Hamilton Twp. Library. Can’t make it to the signing? That’s okay! Your online purchases will count towards the library fundraiser if you simply use Bookfair ID# 11808474 when making your B&N online purchases between 3/5/16 – 3/10/16. Anything you buy – books, movies, CDs, DVDs, toys or games, and much more – will count towards the Bookfair total sales as long as you use Bookfair ID# 11808474 when making your online purchase. 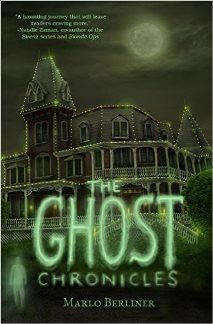 To purchase THE GHOST CHRONICLES from Barnes & Noble, click here. Wanted a signed book, but can’t make it to the signing? Contact me through my website and I’ll be in touch with you to either arrange to sign the book, or mail you a signed bookplate! This entry was posted in Uncategorized and tagged Bookfair, booksigning, Hamilton Twp., NJ, The Ghost Chronicles by marlo. Bookmark the permalink. Thank you so much, Destiny! I’m so happy you enjoyed the book!!! If you get the chance, please leave a review on Amazon or Barnes & Noble (better yet, both!) It doesn’t matter that you didn’t buy the book there, as long as you have an Amazon account it should let you leave a review – just be sure to mention that you got the book at the Angel of the Sea.